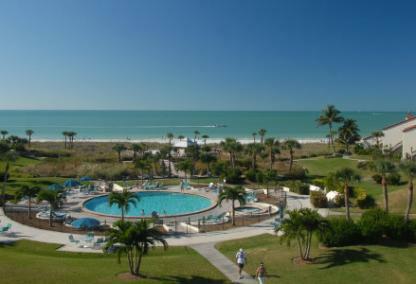 Paradise awaits at Siesta Dunes Condominium on Siesta Key. This luxurious island resort nestled in the very heart of Siesta Key is an internationally acclaimed tourist destination. Families and honeymooners alike, enjoy the abundance of activities located on and around the island, making this property an ideal choice for investors. 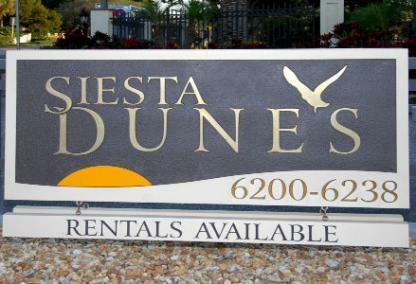 Developed in 1979, Siesta Dunes consists of 160 condo units in various floor plans ranging from 1,150 to 1,180 square feet of living space. All of the larger deluxe units are multi-story and include Gulf of Mexico views as well as a detached one-car garage. All units have two-bedrooms with two-baths and include covered parking for one vehicle. 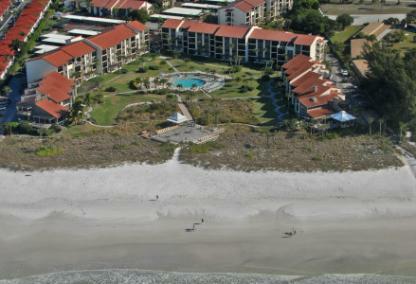 The grounds of Siesta Dunes are absolutely gorgeous, with unique embellishments such as a private Beach Deck and Pavilion as well as private access to Siesta Key Beach. The beachside lounge and garden areas provide a perfect setting for gatherings and barbeques. Additionally, the property boasts of many other luxurious amenities including a heated saltwater pool and hot tub, a tennis court, clubhouse, beach lounges, and chairs to enjoy while bathing in the sun. There is even Wi-Fi on the beach! Siesta Key is an eight-mile barrier island off the coast of Sarasota known for its generously proportioned beaches, powdery quartz sand, and the laid-back attitude. Siesta Dunes residents enjoy its location just off of the Midnight Pass Road, a throughway on Siesta Key, making it quite convenient to other local places of interest, including the cultural and sophisticated Downtown Sarasota, St. Armand’s Circle, Longboat Key, and Lido Beach. The surrounding area provides an abundance of shopping and dining options as well as popular activities and attractions. However, with Siesta Key Village and Crescent Village on either side of the property, residents and guests do not need to go more than a few minutes down the road to find everything from groceries to live entertainment right on the island. The prime Siesta Key location, array of amenities, liberal rental policy, as well as the on-site management and security, all greatly contribute to making Siesta Dunes an investor friendly property.